Women are consistently in the pursuit of brighter, spotless and glowy skin. When it comes to brightening, it doesn't mean one or two tones brighter but instead it's all about that translucent and radiant skin. 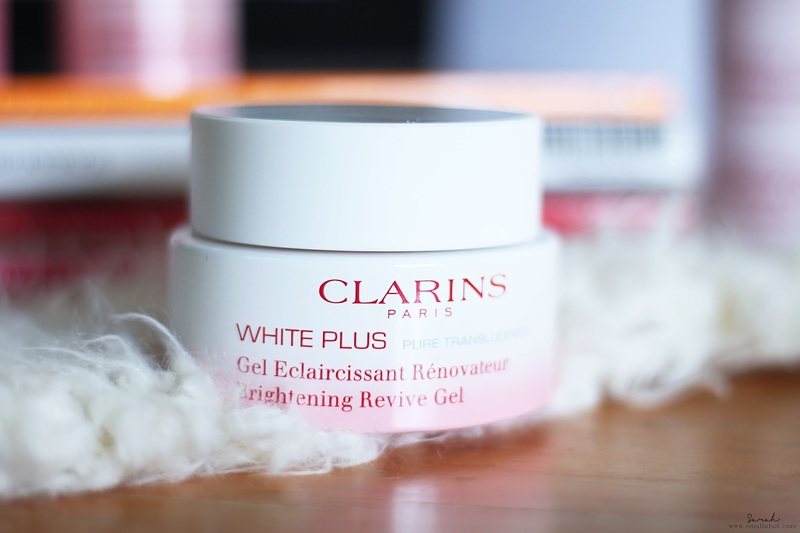 With that in mind, Clarins (which has always known for their innovation and leadership in the whitening dept) is launching a 5 steps brightening regimen in March 2017, to naturally clear your skin. The 5 steps includes Purify, Prepare, Correct, Embellish and Revive. Why 5 steps ? and not 6 steps ? This is because Clarins has identified 3 stages of dark spot formation due to melanin overproduction. How Dark Spots Are Formed ? Stage 1 : In a normal condition, melanin are produced regularly by melanocyte, which is transferred to keratinocyte (responsible to even skin tone). It can be affected by UV exposure and lead to the FUTURE DARK SPOTS. Stage 2 : When it's under UV exposure, there will be an increase of keratinocyte just to combat the UV rays deep in the skin but it will not be enough to be visible at the skin surface, which is called as the DARK SPOTS IN PROGRESS. Stage 3 : Over time or due to more intense UV exposure, the quantity of melanin accumulated reaches the level required to make dark spots visible at the skin surface. Then these are called a the STUBBORN DARK SPOTS. So here's the 5 Steps Brightening Regime by Clarins that has the ability to counterbalances the melanin production under your skin. TO PURIFY (cleanse) : In the morning, go straight in with a brightening cleanser. 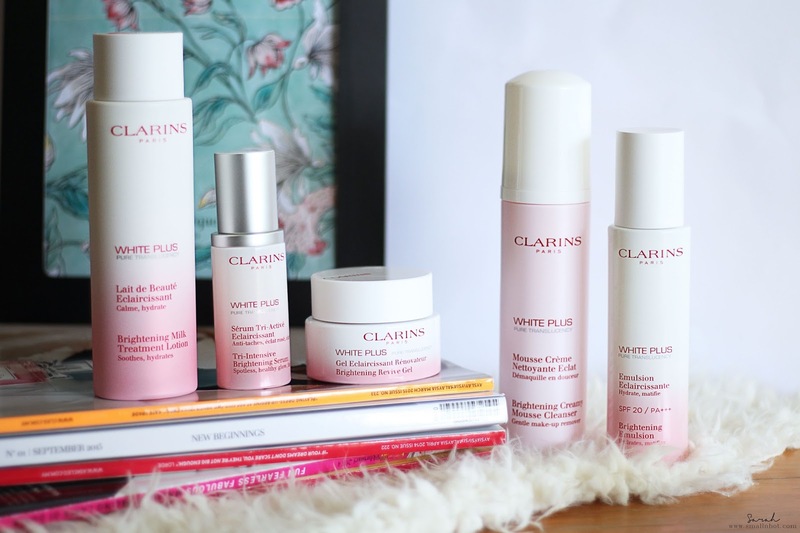 In case you are wondering, Clarins Brightening Creamy Mousse Cleanser is not available in Malaysia yet but you can get it from Clarins USA. 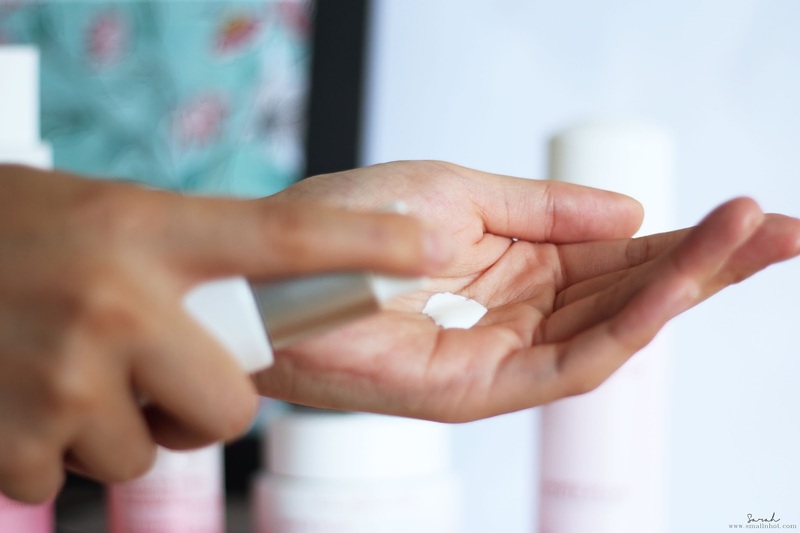 TO PREPARE : Next, move on a of toner or lotion to prep the skin for hydration. 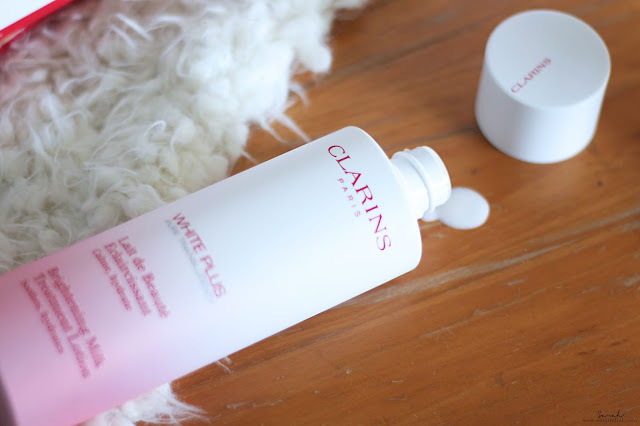 So I'm using the Clarins Brightening Milk Treatment Lotion. If you have oily skin, I do suggest you to opt for the Brightening Aqua Treatment Lotion instead because it's more of a watery formula. 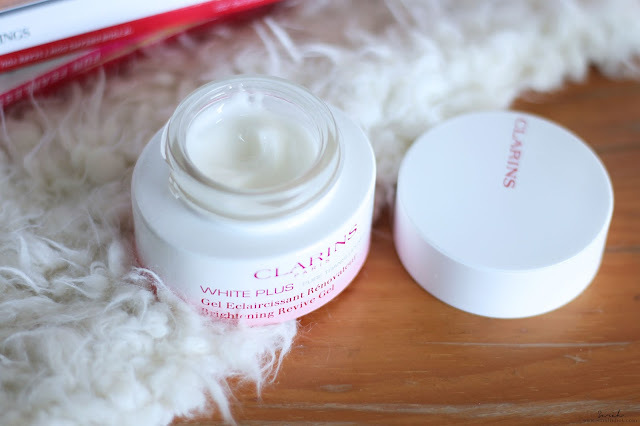 TO CORRECT : Two pumps of the Clarins Tri-Intensive Brightening Serum. Have been loving this serum since last year March and my skin seems to be liking the light and hydrating texture. 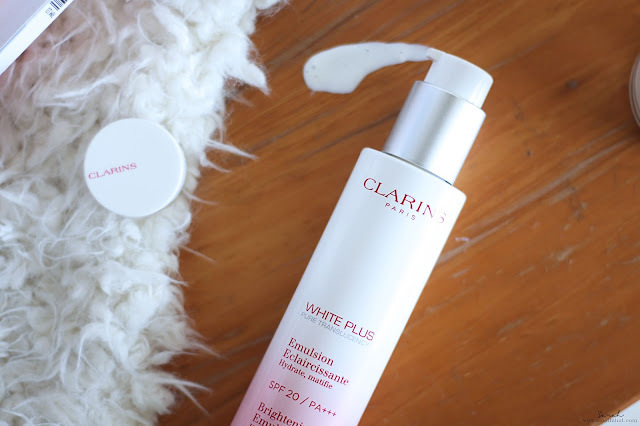 TO EMBELLISH : Every morning, I will go with the Clarins Brightening Emulsion SPF 20/PA+++, which is a dreamy emulsion, silky smooth and leaves your skin feeling like you've given it a drink. TO REVIVE : For night time, I've been finishing up the brightening routine off with Clarins Brightening Revive Gel. Although it's named as gel but the texture looks like a cream to me. It feels rich with a slight greasiness to it on my skin. For those who would like to take an extra step in brightening, Clarins has also included the Brightening Powder Foundation and Brightening Body Veil SPF20/PA+++, alongside with the White Plus Pure Translucent skincare range. And all of it are available in Clarins store nationwide (except for the mousse cleanser).